Hello lovelies! 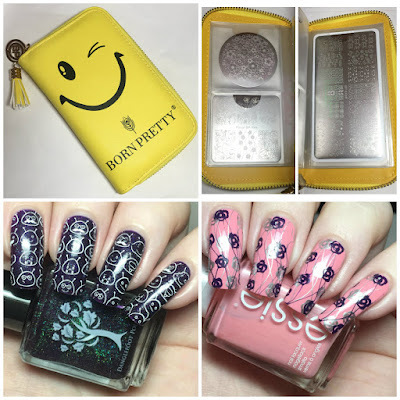 Today I have another Born Pretty Store review. If you missed my last post back in August, you can find that here. 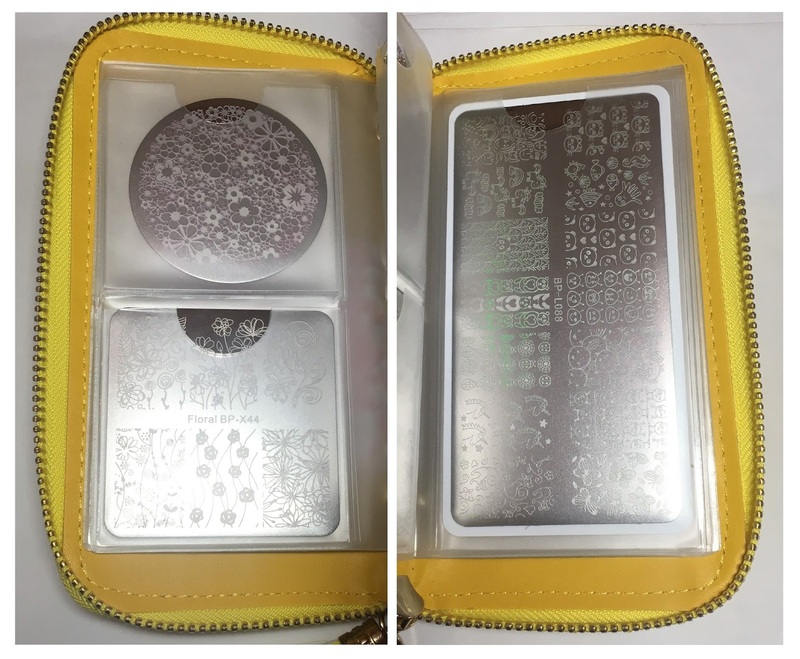 This time around I have a stamping plate holder to show you, as well as two stamping plates. Read on to find out more! The plate holder I have to show you (item #40412, online here) is a fairly recent addition to the Born Pretty store. It is bright yellow and has a smiley face on. 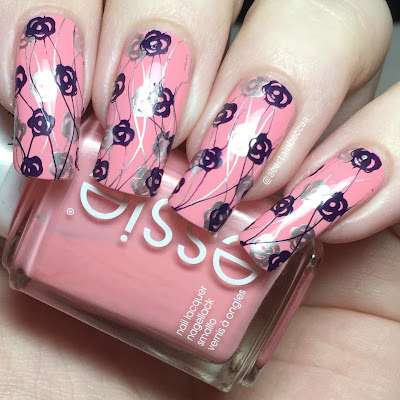 There is a similar holder in plain pink, but I just love how fun and cheery this is! 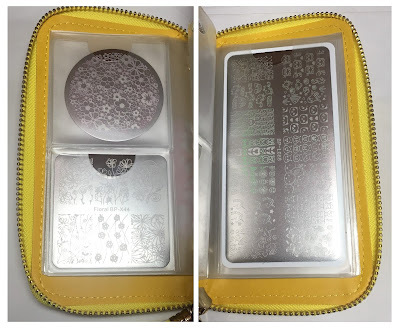 It has 24 different sized slots inside to accomodate for all of the various sized Born Pretty plates. There are 8 big slots to hold the rectangular plates, and 16 smaller ones to hold the square and circlular plates. I really appreciate the zip. Some of my other holders don't have zips, and plates can fall out if I'm not careful. Next up I have plate BP-L088 (item #40224, online here), which is full of cartoon images including cats, unicorns, and pandas. The first thing to catch my eye were the little aliens. These could easily be used throughout the year, but also this month as a cute Halloween mani. 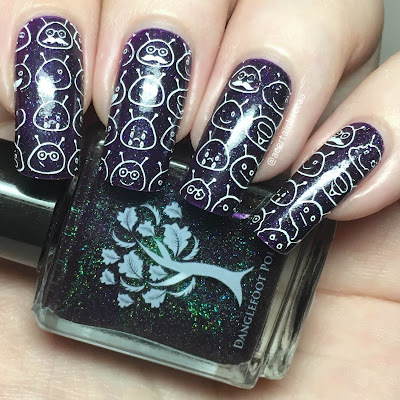 I kept it simple and stamped them in white (using Hit The Bottle 'Snowed In') over a base of Danglefoot Nail Polish 'Pixelated Wishes Oops'. The other plate is BP-X44 (item #40484, online here), a small square plate with floral images. 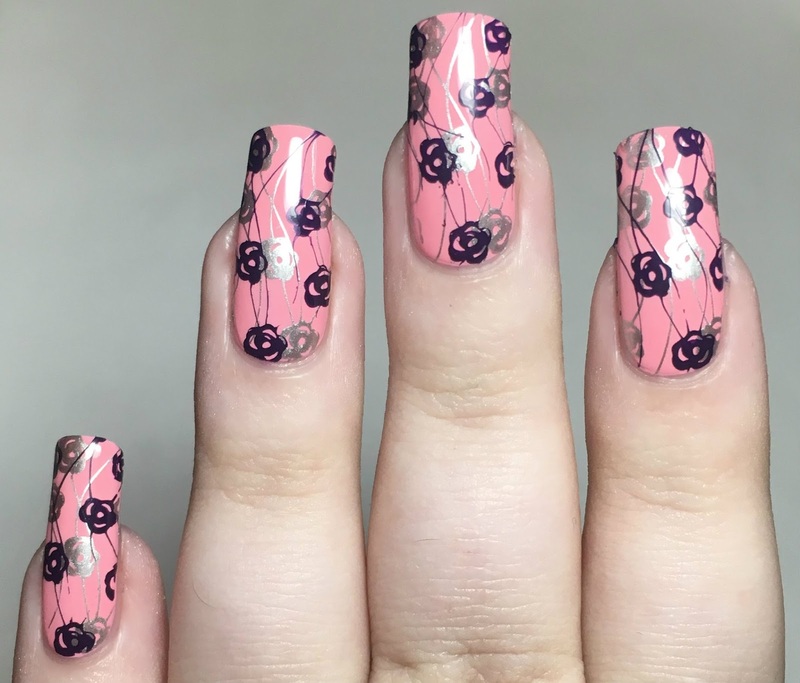 For the mani below, I used the bottom middle rose pattern. I started with a base of Essie 'Backseat Besties', and then double stamped - first in silver using Barry M 'Silver Foil', and then in purple using Painted Polish 'Autumn Twilight 2.0'. 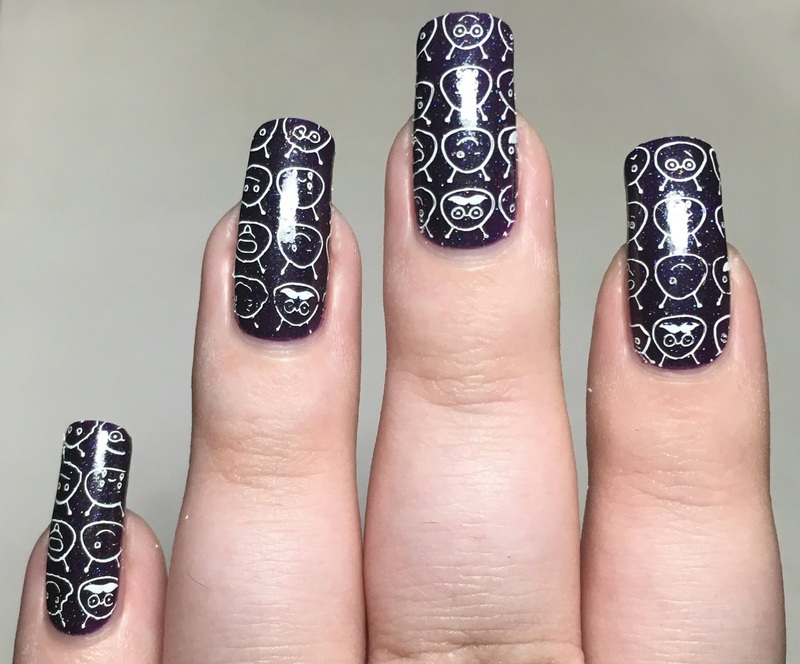 I still love the effect of double stamping. What do you think? The stamping plate holder is already coming in really handy. I had a surprising amount of Born Pretty plates that are thankfully now all in one place. As always, both new plates were super easy to use. They are well etched, and pick up cleanly first try. I used them alongside my Born Pretty clear stamper with no issue. All items mentioned are available now on the Born Pretty Store website here. You can use my code BCAB10 for 10% off your order.